The numbers you put to work every year are here—the list of average book prices for 2016 and 2017 to date. 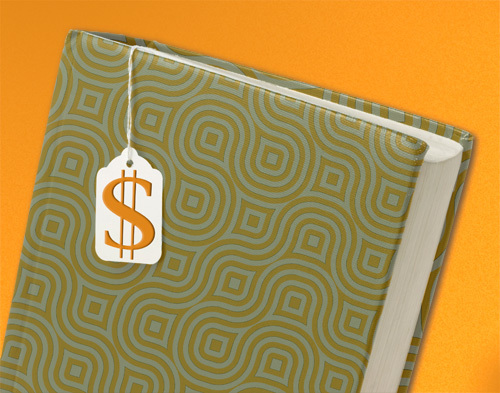 The numbers you put to work every year are here—the list of average book prices for 2016 and 2017 to date, produced in partnership with Follett. We know this data helps you make sound decisions. 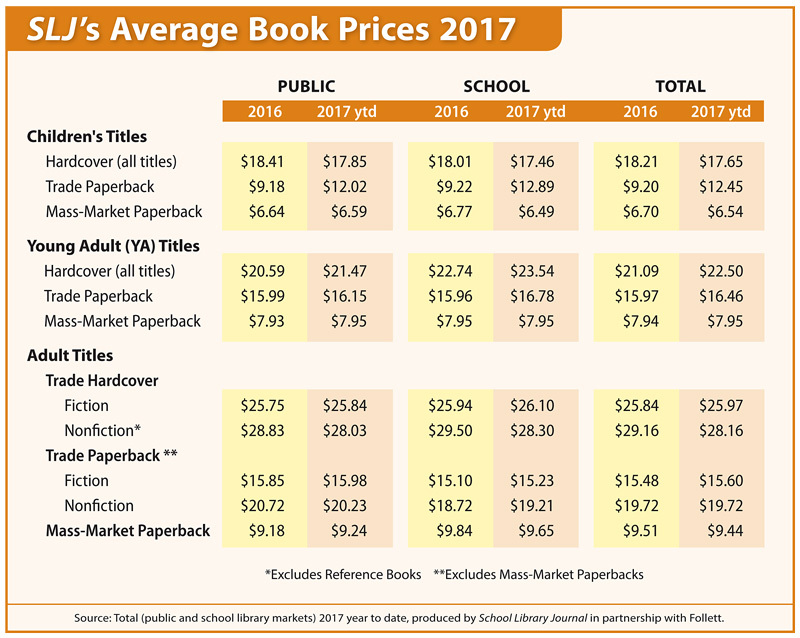 The data, based on figures supplied by Follett, shows average list prices for all books (including children’s books, young adult books, paperbacks, and hardcover editions) that have been sold (not published) during the time frames listed. Separate calculations have been supplied for the school market and the public library market. Averages are calculated by total number of all book sales divided by the number of books sold. Look for the next iteration in Spring of 2018.